This week marks the 60th anniversary of the death of one of the 20th century's most important spiritual figures. 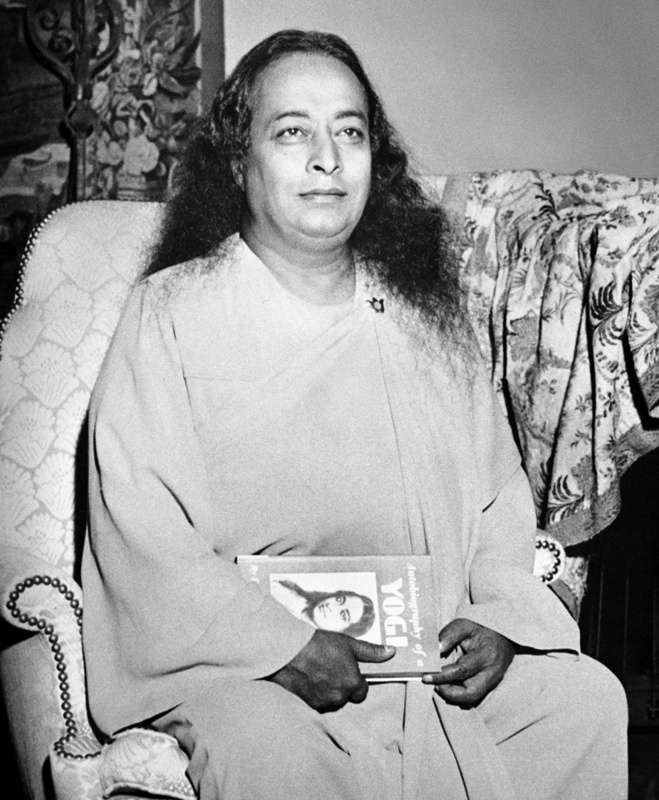 On March 7, 1952, Paramahansa Yogananda passed away in Los Angeles from an acute coronary occlusion, just after speaking at a banquet in honor of the Indian ambassador. In his last speech he said, "Somewhere between the two great civilizations of efficient America and spiritual India lies the answer for a model world civilization." He worked tirelessly to achieve that dream, ever since 1920, when he arrived in America, and to the extent that an East-West synthesis has been realized, he deserves as much credit for it as anyone. Yogananda is best known for his groundbreaking memoir, "Autobiography of a Yogi." It has sold well over four million copies since its publication in 1947, and I suspect it has been read by two or three times that many, because it is the sort of book people lend to their friends. This was especially true in the 1960s and '70s, when Baby Boomer seekers were thirsty for Eastern wisdom and couldn't afford the five bucks to buy the AY, as it has come to be known. (I know the hardcover cost five dollars then because I still have my copy, and I hope this essay will repay the karma of not returning it to whoever loaned it to me.) Based on my research for my own book, American Veda, the AY prompted more Americans to explore Indian spirituality than any other text. An iconic memoir would be legacy enough for any spiritual leader, but Yogananda's contribution far exceeded that book. The first major Indian teacher to settle in America, he was rightly called by the Los Angeles Times "the 20th century's first superstar guru." After arriving in Boston to lecture on "The Science of Religion," he toured the country addressing huge audiences. In 1924, he made L.A. (which he dubbed "the Benares of America") his permanent home and the headquarters of his Self-Realization Fellowship (SRF). Anyone who has visited the organization's Southern California facilities knows why I say that the founder had the best real estate karma of any other guru. I often cite Yogananda as a leading example of the qualities that virtually all successful Eastern spiritual teachers possessed. Because he spoke eloquent English and was well schooled in Western ways before leaving India, he could communicate to rational Americans ideas that must have seemed exotic and strange in the pre-World War II era. His reverence for Jesus made him non-threatening to Christians, even though his yogic interpretation of Jesus's teachings was unconventional to say the least. At the same time, his logic and pragmatism made his ideas acceptable to secular audiences as well. He skillfully tread the fine line between maintaining the integrity of his tradition (Hinduism in general and Kriya Yoga in particular) while also adapting the language, format and delivery systems to modern America. It didn't take him long, for instance, to offer Sunday services -- complete with pews and organ music in some locations -- because that's the day Americans get spiritual. He also distributed some of his teachings by mail order, a somewhat newfangled technology in the 1920s. Yogananda arrived the year Warren G. Harding was elected, and he died during Harry S. Truman's last year in office. His legacy is still going strong. SRF, along with some smaller breakaway organizations (the largest is Ananda Sangha), are represented in virtually every major city. Of all the gurus who came here, only Swami Vivekananda, founder of the Vedanta Society, and Maharishi Mahesh Yogi, founder of the Transcendental Meditation movement, can match his impact. His success can be attributed to several factors, in addition to his seminal autobiography: his long tenure in this country, his personal charisma, his results-driven package of offerings, and his appeal to both secular and religious students. Everyone who meditates, goes to yoga classes or has, in any way, benefitted from India's great spiritual heritage, owes a debt of gratitude to Yogananda. It is only fitting that he is interred in the resting place of so many American celebrities, Forest Lawn Memorial Park, five miles from the hilltop sanctuary that he made his home.